NEW YORK -- With university tuition and student debt at record highs, many people wonder if it's worth it to go to college. But according to Georgetown University professor Anthony Carnevale, the truly important issue that will affect a student's future is picking a major. While attending college will boost your earnings by roughly a million dollars over the average lifetime, your particular major is even more important, according to the new study "The Economic Value of College Majors," compiled by Carnevale and his team at Georgetown's Center on Education and the Workforce. In fact, the spread between the highest-earning and the lowest-earning major and is a whopping $3.4 million in lifetime wages. Q: When students think about college, what do they usually get wrong? A: What determines what you make in life is not where you go to college, but the subject you take when you get there. In the American mind the goal is to just go to college and get a degree, but to some extent that is missing the point. In economic terms, that is not what the game is about. The difference in the value of college degrees is enormous, and it has been getting stronger and stronger, ever since the early 1980s. Q: What are among the highest-earnings majors? A: Engineering degrees are almost all of the top 10. In particular, petroleum engineering has busted out of the pack. The market is so tight that you don't even need a graduate degree. It's like a gold mine. A: Early childhood education. That's one of the sad things about these numbers: That people who serve others, like teachers, don't make as much as other majors. They do have pretty high job security, but in terms of wages, they're the bottom of the heap. Q: But as you point out, these are just average numbers, which can vary widely. A: Your major is important, but it's not your destiny. You can take a lower-earning major like education, but if you have a strong career and are in the top 25 percent of your field, you can make as much or more than a business major. So people who do well in their careers come out OK, no matter what they take. Q: Given all the numbers you've looked at, is it worth it to go to college? A: In general, yes, it is worth it. That's because you are going to pay tuition for four or five years, and then earn money off that degree for 45 years. In fact, it is hard to even get in the door these days without a college degree. 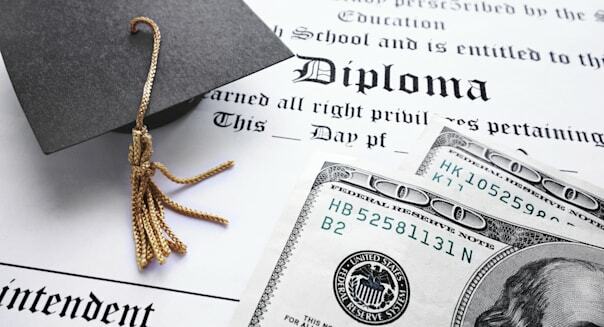 Q: How valuable are graduate degrees? The second type of grad degree is where you'll be a little better off with one, like in business. With the third type you'd be crazy not to get one, because you make so much more money: That's in areas like science and technology or healthcare. Q: What surprised you most about this year's numbers? A: The extent to which all the majors hold up. Even with a major that's relatively weak, like humanities, it's not to say college isn't worth it. It still is. Earnings took a bit of a dive after the recession, but long term, the strength of the labor market for college grads has been holding up. Q: For a kid who is getting ready for college right now, what advice would you have about choosing a major? Once you know what interests you and where your abilities lie, then you can start developing a strategy. The quicker you figure it all out, the better off you're going to be. These decisions have real staying power that will affect the rest of your life.